Through the Glass: Variety is the Spice of Life! Just a couple days ago B&H were kind enough to feature a few of my photos on their Facebook page. The photos linked to my post about using a neutral density filter. While most of the feedback was very positive, there were several negative comments (not constructive criticism), which bemoaned what the commenters felt was excessive use of Photoshop. Now, I understand not everyone will like my work, and I don't deny that some of my photos have a significant amount of post-processing work done on them. I do, however, think it's rude to disparage someone's work because it is not created the way you would have done it. In defense of my and other photographers' use of Photoshop (not that I really feel the need to defend it, but I think this is worth mentioning), we aren't doing anything that photographers haven't been doing for years, even in the days of film. Much of what I do in Photoshop could be done in the darkroom before the advent of digital cameras (Ansel Adams is a prime example of early post-processing), it's just much easier and more accessible now to amateurs like me. The truth is, while I love using Photoshop to bring out texture, color, and detail in my photos, I also create and appreciate work that is not Photoshop-heavy. I love how each photographer has his or her own style which evolves over time. I have many favorite photos from other photographers that are nothing like photos of mine. That's why this post is about variety. I think the variety of different cameras, lenses, editing programs and filters, and personal styles are what make the photography community such a rich and interesting one to partake in. 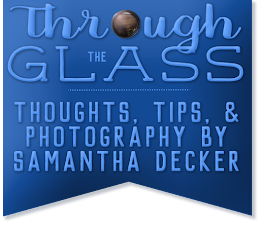 I love reading posts on photography blogs about interesting new photo projects that take the medium to a new level. Variety is what keeps our wheels turning and makes us more creative. When Claude Monet, Pierre-Auguste Renoir, and the other French impressionists began exhibiting their work in Paris in the mid-1800s, many judges and spectators alike scoffed at their work because it did not follow the realist conventions of paintings at the time. Today, the works of both realists and impressionists, as well as other types of painters, are accepted and admired by many because most art enthusiasts now recognize that there are many different acceptable styles of painting. [Incidentally, please don't think I am comparing myself to impressionist painters! I am merely trying to draw a parallel in how different techniques have been accepted (or not accepted) in the past]. In celebration of the variety of different photography styles (past and present), I will leave you with quite a few of my favorite photos, in reverse-chronological order from most recent to least. They all have something unique about them that caught my eye. Some of them are heavy on post-processing, while others are not. Some are full of colors, while others are in black and white. What are your thoughts on post-processing? What are your reactions to my post? I welcome all comments, be they either in agreement or disagreement, as long as they are polite and respectful. Merci beaucoup pour le commentaire ! I can certainly see where you're coming from about pushing the limits of processing. Just to clarify, most of my shots are with one RAW file, tonemapped with Topaz Adjust and/or Photomatix. I only do true HDR when the scene calls for it. Sometimes, though, I do look back at my work from months or years (sometimes days) past and decide I'm not happy with the processing, that I've taken it too far. I think it's all a matter of personal preference, which can obviously change. That said, I am trying to be more conscious of my processing and not take everything over the edge, so I appreciate your suggestion. You've got some great work as well! Don't let a few comments ruin your day! You have a processing style that is you that you love! It brings out details! You mentioned the days of film......they had a dark room and now we have a digital dark room (photoshop and lightroom in combination with topaz, photomatix, on one products).